On Thursday 9 August, 22 young Afghan girls graduated from the Dandenong Youth Development and Empowerment Program (YDEP). The program is aimed at engaging, enabling and empowering young people to develop positive links with the Victorian justice system. The YDEP is a journey that is underpinned by a holistic and integrated approach to assist young people build their resilience to be a contributing member of the broader community. The Graduation was hosted at Parliament House and we were kindly joined by Key Note Speakers, The Hon Gabrielle Williams MP and Sonia Vignjevic, Victorian Multicultural Commissioner. Thank you to our wonderful speakers, our special guests that attended and especially the graduates of the program. 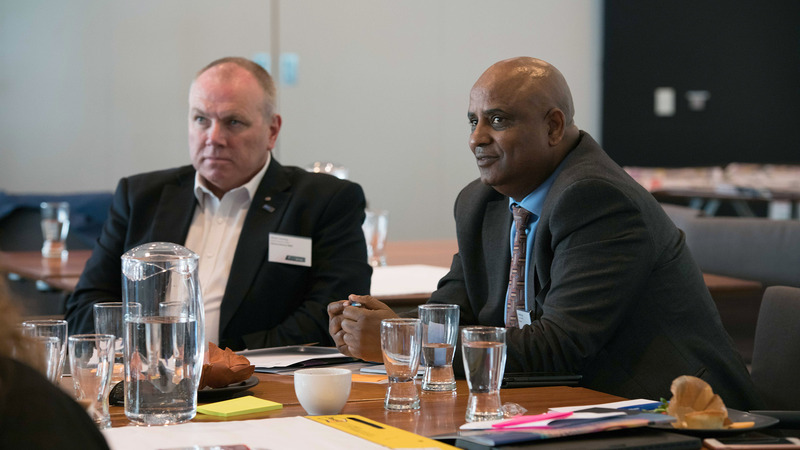 Our CEO, Abeselom Nega recently attended a Community Engagement Day that was hosted by the County Court of Victoria on 19 October 2018. 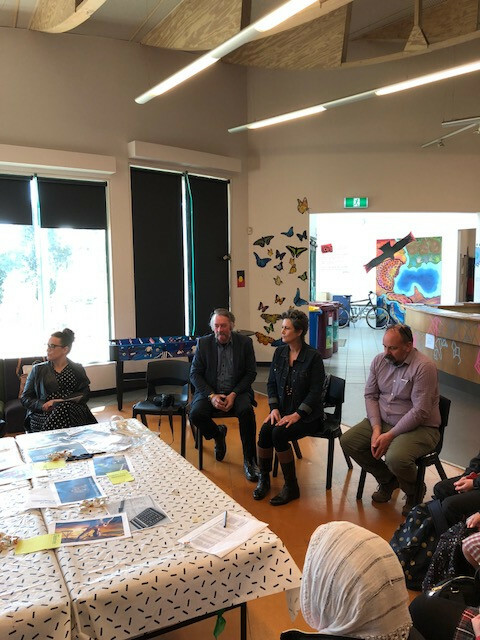 Chief Judge of the County Court of Victoria, Peter Kidd invited Abeselom along with other community and support service leaders. 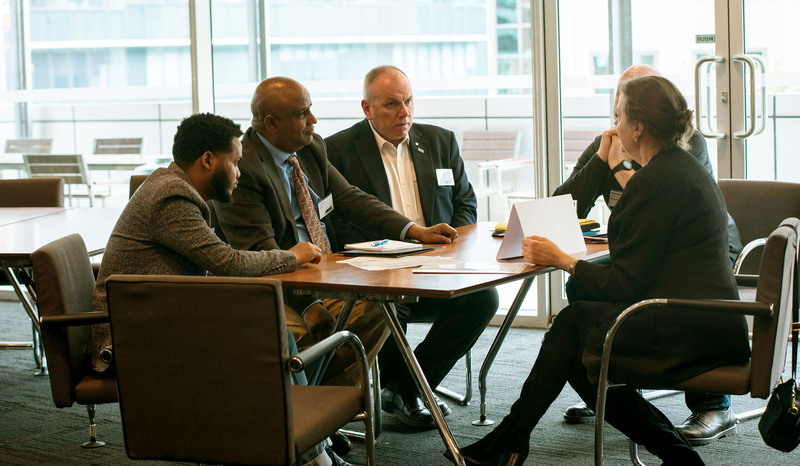 The day was aimed to provide community leaders and members with a greater understanding about the complexities of sentencing people and the attitudes that communities have about dealing with offenders. The program provided attendees with the opportunity to ‘be the judge’ for the day and increase awareness and understanding about the court, and promote education among their communities about the court system to enable them to gain a better understanding about why decisions are made. The Scrubs Project which trains young people in a Certificate III in Cleaning Operations is well underway and our first intake of students are almost set to graduate from the course that has been ran in collaboration with Victoria University. The students undertaking the course have demonstrated relentless commitment and dedication to completing the Certificate, despite the barriers they have had to overcome. We are very excited to see our first intake graduate from the course in December! Our YDEP in Geelong works with young girls from Geelong High School in years 8-12. We run the program once a week at The Fort and have a variety of guest speakers on each occasion. We recently had a session on crime prevention, knowing your rights and how to seek help from the government and law enforcement. We were joined by a number of bodies, including Youth Justice, Consumer Affairs Victoria, and Victoria Police. We would like to share with you a wonderful initiative by the Centre for Culture, Ethnicity & Health, Rainbow Connections. Rainbow Connections is an online platform for young people from a multicultural background who are also part of the LGBTIQ communities. The platform enables young people to access support, upload creative and inspiring content, and provide young people an opportunity to share their creativity and find a sense of belonging. Young people from these backgrounds have multiple identities and often more disadvantaged and excluded in society, we hope to promote inclusiveness and diversity by sharing this platform. Please share this with your networks and anyone you believe that could benefit from the platform. Over the last couple months, our team have been working very hard to produce our Strategic Plan and 2017-18 Annual Report. We have recently finalised these documents and we are very excited to share them in the coming weeks. Our Strategic Plan details the exciting direction of iEmpower’s future and we are looking to expand our services and network. The Annual Report documents our hard work, achievements and growth over the past year. Watch our space for more updates about when these documents will be available. Our website has recently undergone an extensive makeover and we are excited to be able to share our new and improved website with you!